Heeft u een vraag voor Times Hotel? 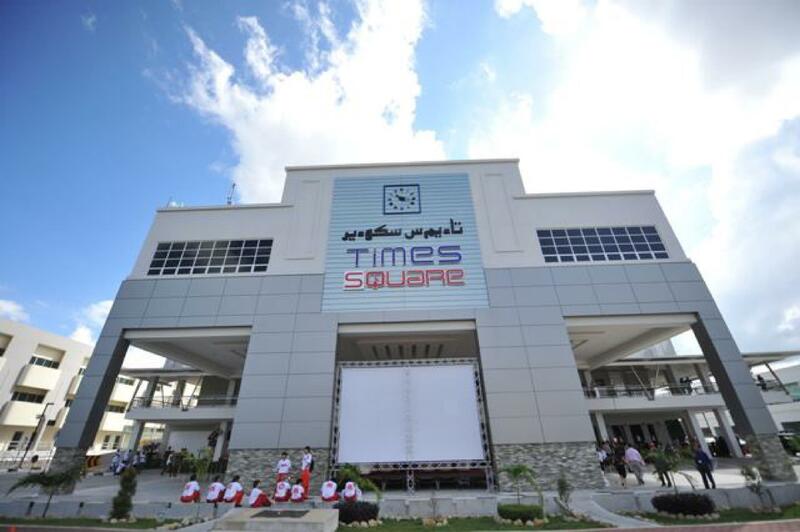 Times Hotel in Kianggeh, Bandar Seri Begawan is een populaire keuze onder reizigers. Vanaf hier kunnen gasten genieten van eenvoudige toegang tot alles wat de levendige stad te bieden heeft. Dankzij de praktische locatie liggen alle belangrijke trekpleisters in de buurt van het hotel. Het Times Hotel biedt gasten superieure dienstverlening plus een breed scala aan voorzieningen en is toegewijd om uw verblijf zo comfortabel als mogelijk te maken. Terwijl u verblijft in deze geweldige accommodatie, geniet u van faciliteiten als gratis wi-fi in alle kamers, rolstoelvriendelijk, 24-uur receptie, wi-fi in openbare ruimtes, parkeerservice. De ambiance van het Times Hotel weerspiegelt zich in de inrichting van de kamers. plasma tv, internet (draadloos), draadloos internet (gratis), rookvrije kamers, airconditioning zijn slechts enkele van de faciliteiten die u ter beschikking staan. Daarnaast garanderen de talrijke recreatieve mogelijkheden dat u zich tijdens uw verblijf kunt vermaken in het hotel. Fantastische faciliteiten en een uitstekende locatie maken het Times Hotel de perfecte uitvalsbasis om van uw verblijf in Bandar Seri Begawan te genieten. I stayed here for 1 night during my last business trip. Check in process was smooth and quite fast (also not crowded at the hotel). The room was adequate if you only a hotel to sleep only. If you need more comfort and luxury dont choose this hotel. Bahtroom is a little weird for me, it use to have some frame for the glass of shower but it didnt. The water would pouring out almost to all the bathroom. The bed was comfortable enough, it helps me recharge my energy after a tired schedule. 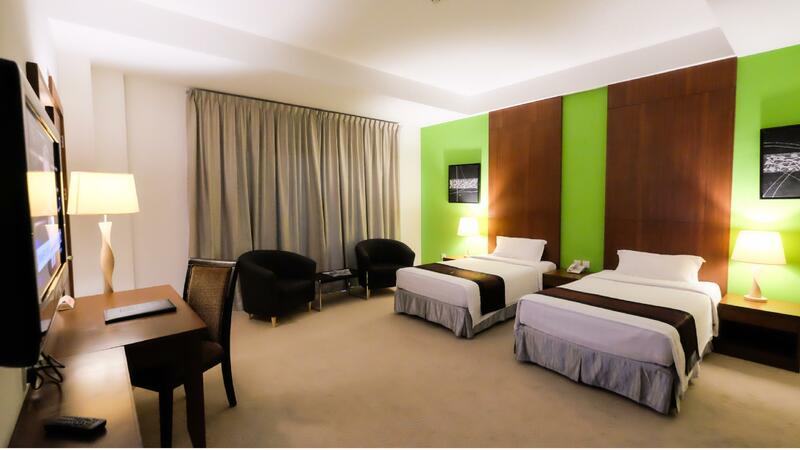 Location is the best value of this hotel, it is situated on top of a shopping complex. Not big but enough for you to find things you need like foods and others. + Great location (near airport) . + The decor and ambience were quite nice actually. + The room is spacious & clean. + Helpful staff. - thin walls (You could still hear night activities from outside) - obvious eye-sores. (I would suggest a seasonal carpet-cleaning and proper hygiene control. There's visible dirt marks on the hallway carpet, there's trash bags near the elevator, chairs being stacked up near it, some areas of the lobby floor were not thoroughly clean, bottom of the chairs were worn out (seams undone, etc) .) The place has potential, if only the basic cleanliness and proper maintenance were managed well. There was an abundance of hotels to choose from in Brunei Darussalam, and we were not disappointed with our choice. 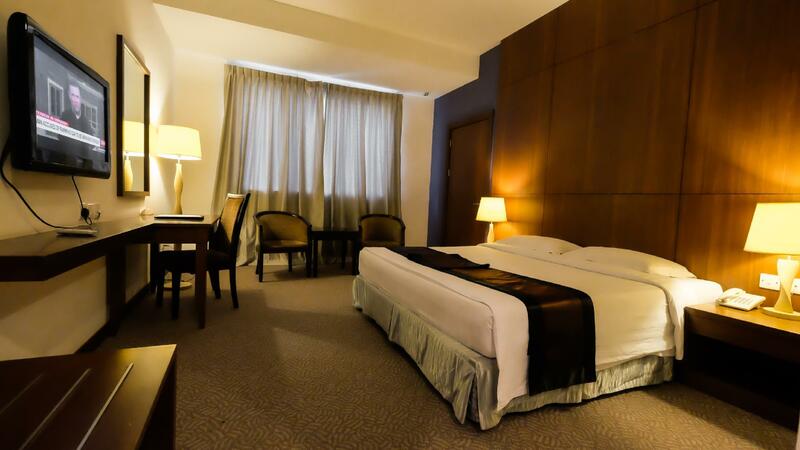 Close to airport, with free transport to and from hotel. Breakfast (buffet) included and a big selection of eating locations in shopping mall same complex as hotel. We certainly will stay again. Fast Check in. They provide baby cot as per requested for FREE and i found it awesome! The room got ice box, iron, iron board.. The room was spacious.... Perfect!! So many kedai makan,fast food and restaurants nearby... Shopping mall, supermarket... Very Good Location! Location is very good only for airport and staff is not kindly and also no smile even if enter the hotel they don’t see our face also. Damage my commod flush I try to contact house keeper but useless.i informed wake up alarm for last day but no use they don’t care very bad staff no response. 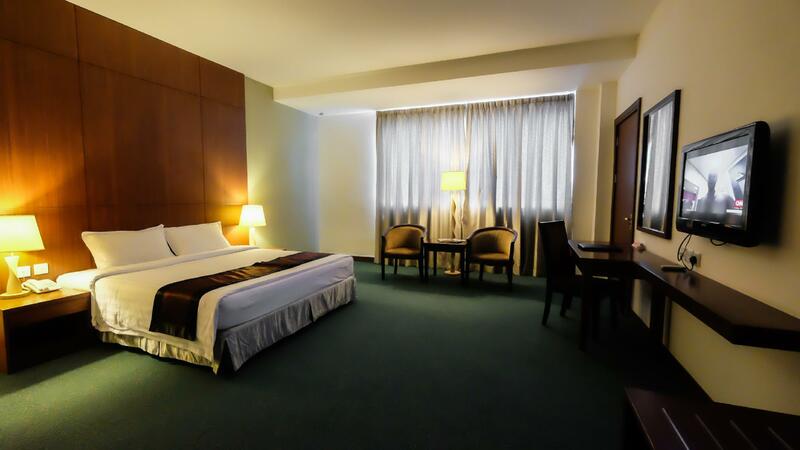 A very convenient overnight airport stop, very close to airport, good shuttle service, simple but ample breakfast, excellent value for money, helpful staff. However, my very large supposedly non smoking room had a stale, cigarette aroma about it. This latter is certainly common in many Asian hotel rooms, a scourge of this awful habit. This hotel is just 5 min drive away from the airport. Best feature is that it comes with a complimentary shuttle to the hotel and back to the airport. Don't bother with breakfast as the mall is just downstairs with lots of F&B options. Also, cinema is just upstairs, very convenient. Very basic but clean and big hotel near to 3 very small malls (which is superb by Brunei Standard). Staffs were extremely helpful and airport shuttle was arranged 2hrs prior to arriving with no hiccups. PLEASE CLEAN THE SWIMMING POOL MORE OFTEN. If you’re doing an overnight transit then this is a fantastic choice. When we cleared immigration a staff member was waiting to pick us up and we were checked in and in our room in minutes. Ride from the airport was literally 3 minutes. Room was spacious and comfortable. Staff were really friendly and eager to help. Basic buffet breakfast included (although if you have food allergies it’s worth packing a few things for yourself). Good staff, well mannered! Location: 2 mins to airport and adjacent to shopping centers (very convenient). Hotel is a little worn-out (in terms of appearance). Hotel owner need to reinvest on hotel general condition. There's a balcony outside my room but there's also a huge noisy ventilator blocking my view (that only silent from 10pm onwards).